Mucho Vegas Casino headlines more than 950 casino games, including Starburst, Gonzo’s Quest, BerryBurst, Al Capone, and 3 Charms Crush. This spanking new casino opened in 2016 and is going strong today with thousands of players from around the world. Its main claim to fame is that it is the ‘leading real money casino site’ that features the latest casino games for the enjoyment of bettors everywhere. 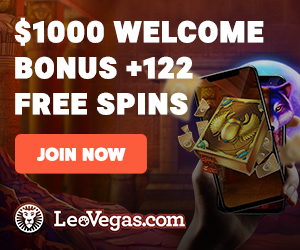 Mucho Vegas Casino offers a full roster of casino bonuses for regular bettors who play with real-world money, including the Mucho Welcome Bonus, Midweek Reload Bonus, Taco Friday Bonus, Mucho Milestones, and the VIP Club. The Jefe VIP Program is the crowning glory of the platform and boasts of a more personalized service to benefit the website’s growing player base. The series of bonuses offered on the site will keep players coming back for more – literally, as the casino gives more and more bonus money every time players make a deposit. Watch out for exclusive promotions, too. Mucho Vegas Casino offers a massive Welcome Bonus match up to $1500, plus 150 free spins. The welcome bonus is subject to a 30x rollover requirement before you can withdraw it as real-world money. There is also a Midweek Reload Bonus where the player will receive up to 50% match up to $100. Taco Friday bonus gives you 30% match up to $300. All bonuses are subject to 30x rollover or wagering requirement. The exact bonus amounts will vary depending on the player’s country of origin. In Mucho Milestones, players earn one Fiesta Point for every $10 spent on the platform. For your first 1,000 Fiesta Points you get 20 free spins. For 50,000 Fiesta Points you will get a $500 chip plus exclusive VIP promotions. Mucho Vegas Casino uses a variety of payment channels to process deposits and withdrawals. Bank transfer (SWIFT, Neteller, Skrill, Visa, MasterCard, iDeal, Multibanko, Trustly, giropay, Sofort, CASHlib, and zimpler) offer instant deposits to your fund and bank-dependent withdrawal periods. Minimum deposit is $50 and the minimum withdrawal is $100. For Visa and MasterCard, minimum deposit is $10 (instant deposit) and withdrawal is typically 3-5 days, with a minimum of $50. If you have a Neteller or Skrill account, you can deposit instantly to your Mucho Vegas Casino account. Withdrawal is also instant for these two payment channels after approval by the platform. The minimum deposit is $10 and the minimum withdrawal is $30. To access deposit and withdrawal options, simply click the “Cashier” button in your account and click the correct tab. Withdrawal requests are normally processed and completed within 24 hours. Take note that you need to verify your account first, so make sure that you email the casino for the KYC process. Mobile players will be happy to know that a significant number of games are available for the mobile platform. The website itself is mobile-friendly, so you can play instantly through the main website. Currently, there is no mobile app (App Store or Play Store) so you have to play through the website. The website is streamlined, easy to navigate and the games are top-notch. You can even access the free play feature of the website through the home page. The entire platform has a Mexican theme that runs deep into the core of the online casino. In addition to the fun environment, you cannot go wrong with getting the best and latest games all on the same platform. With more than 950 games for PC and mobile gamblers, you are sure to have the best combination of games. The website promises each player “the fiesta never stops at Mucho Vegas!” We can tell that with the big welcome bonus match, people are getting fired up by just playing on this platform every day. Big welcome bonus Welcome bonus is spread over several deposits. Mucho Vegas Casino has a payout percentage of 95.5% and accepts major payment methods recognized globally, making it a legitimate operation that will ensure that your funds and data are all secure. Mountberg Limited operates Mucho Vegas Casino from 67 Limmasol Avenue, Vision Tower, Floor 2, Aglantzia, 2121, Nicosia, Cyprus. The Curacao eGaming regulatory body has awarded it with license number 1668/JAZ. The government of Curacao regulates and authorizes its day to day operations. Mucho Vegas Casino is recommended by 777 Approved, KasinoHai, and SlotsUp Approved. It is also the recipient of the following online casino awards: SuperBigWin Bes Casino of 2017, Casino Svergie Best New Casino of 2017, and Casino ToppListen Award for Best Casino of 2017. Mucho Vegas Casino is quite promising and candid about its achievements for such a young platform. Some casinos have been operating for more than five years and have not received a single award or accolade from top-tier casino award-giving bodies. Mucho Vegas has received three awards since it started in 2016, making it a trailblazer in this ever-competitive industry. We are sure that these awards are well earned and that the casino has given its best to provide for its growing player base. The mobile-ready website is commendable, because players can just play directly on the website and they do not have to download a separate app anymore just to access their accounts.